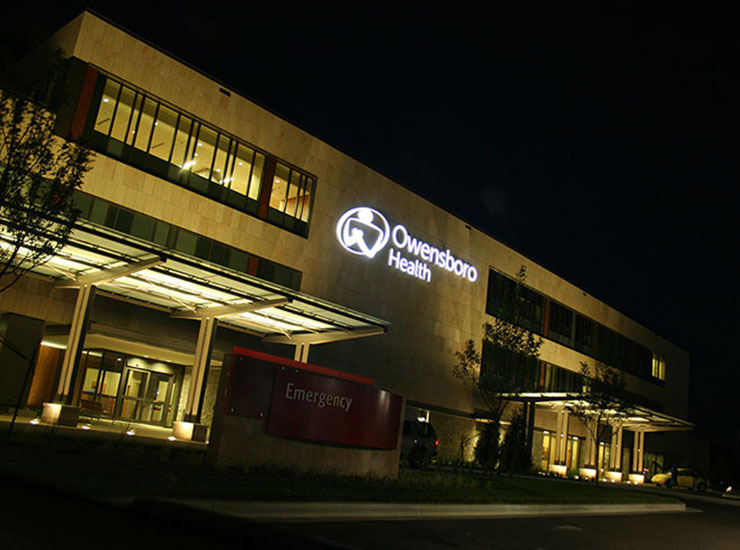 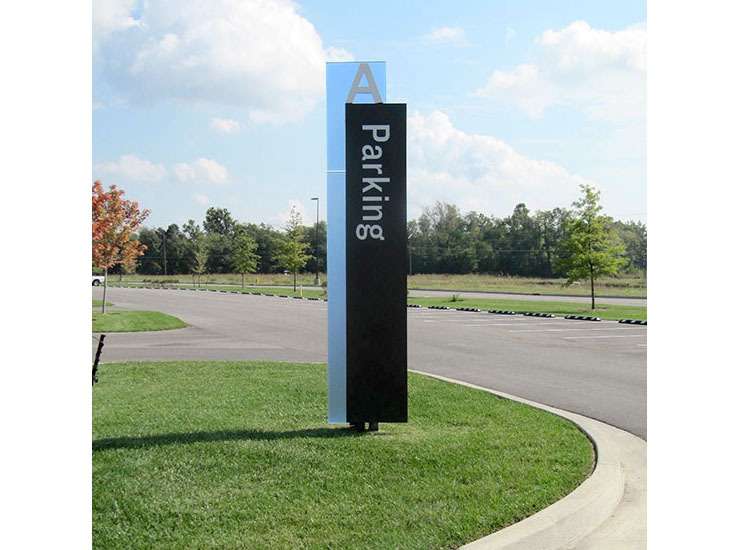 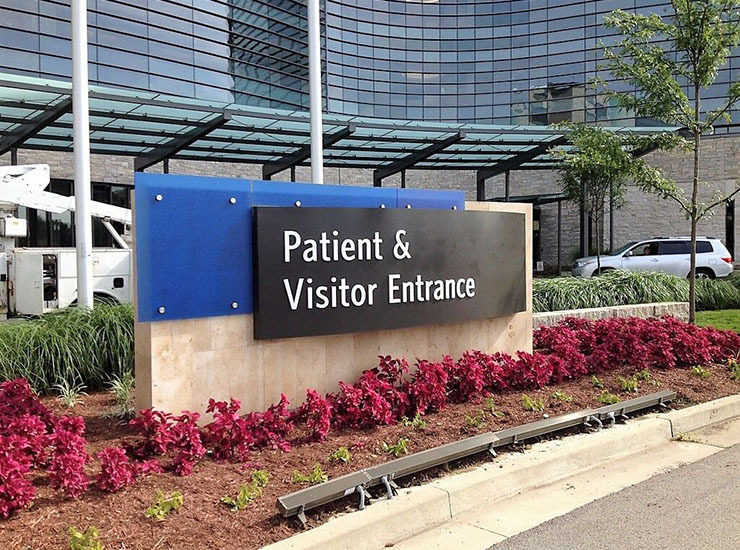 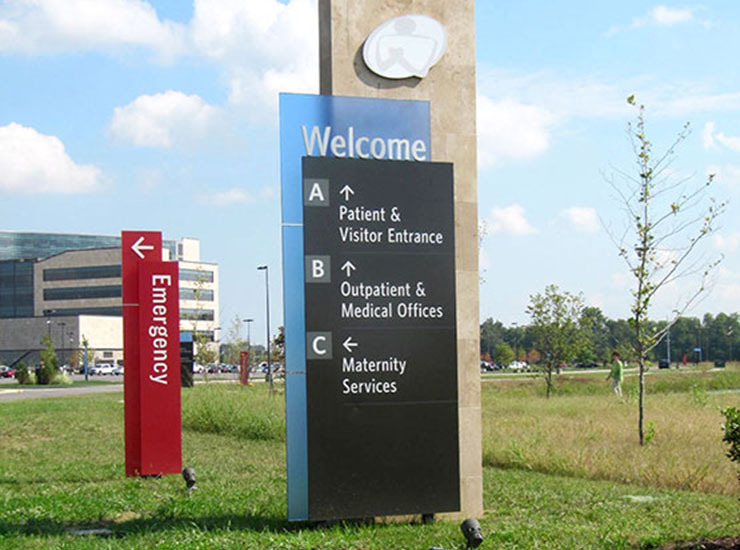 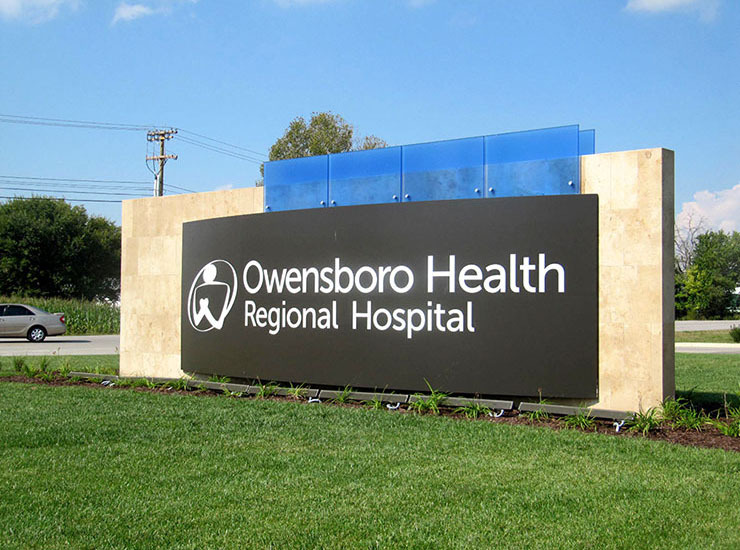 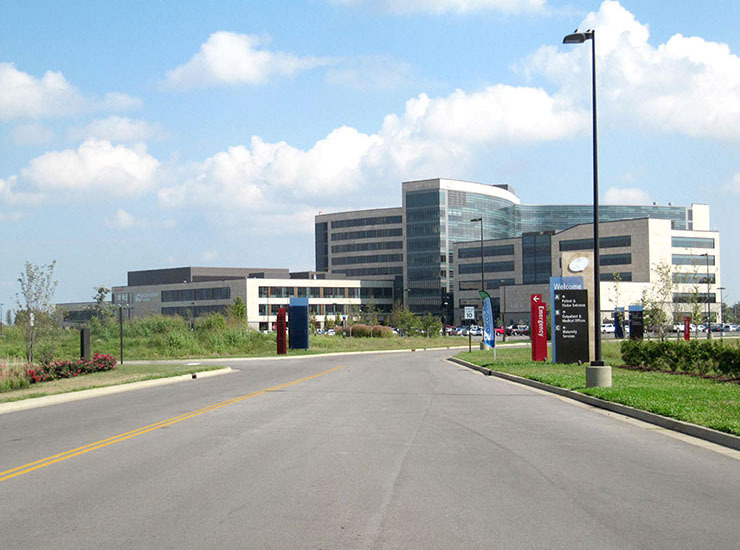 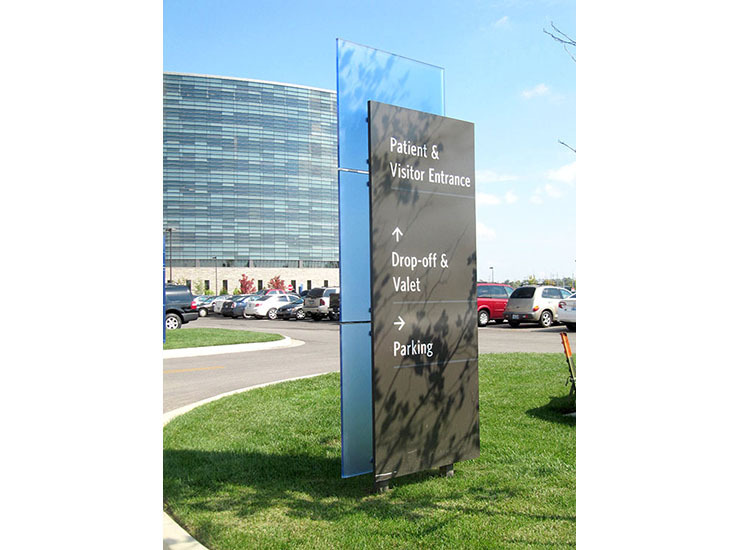 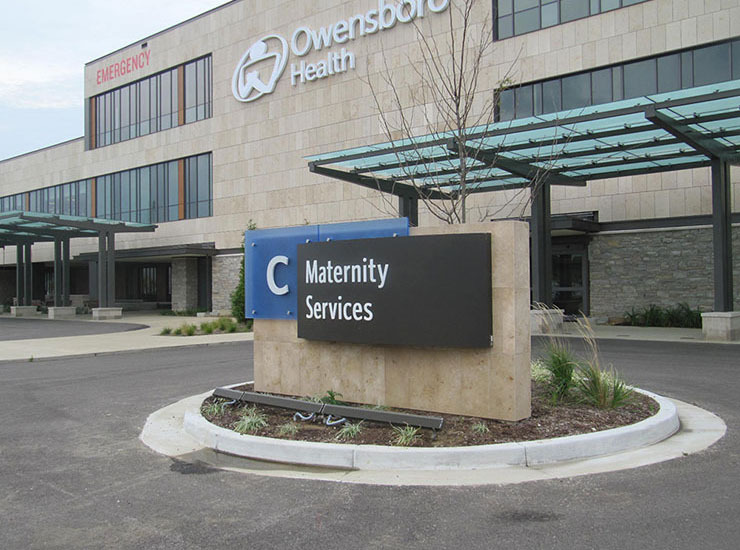 Owensboro, KY: AGS fabricated the exterior signage package for Owensboro Health Medical Center designed by Exit Design, HGA, and KLMK. 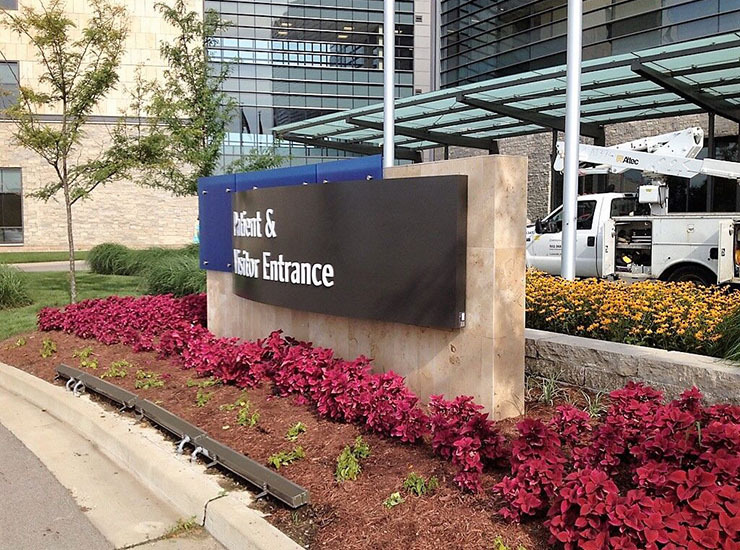 AGS worked closely with the team to help engineer stone walls with color-laminated glass. 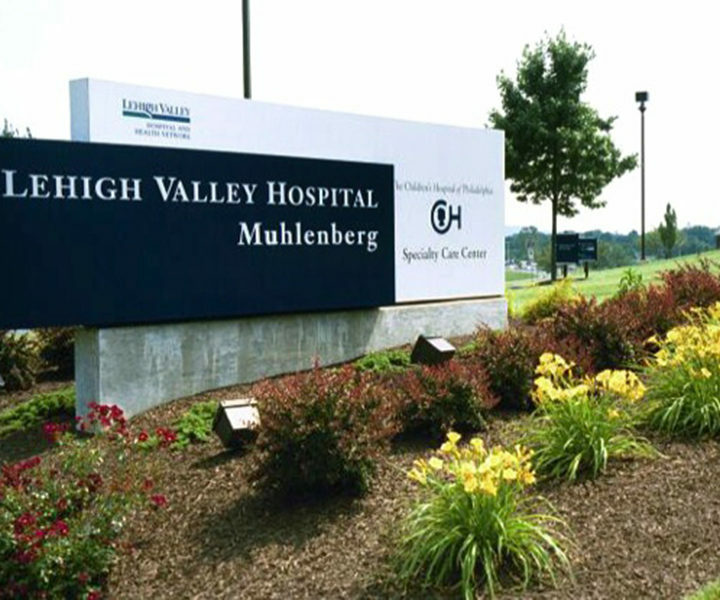 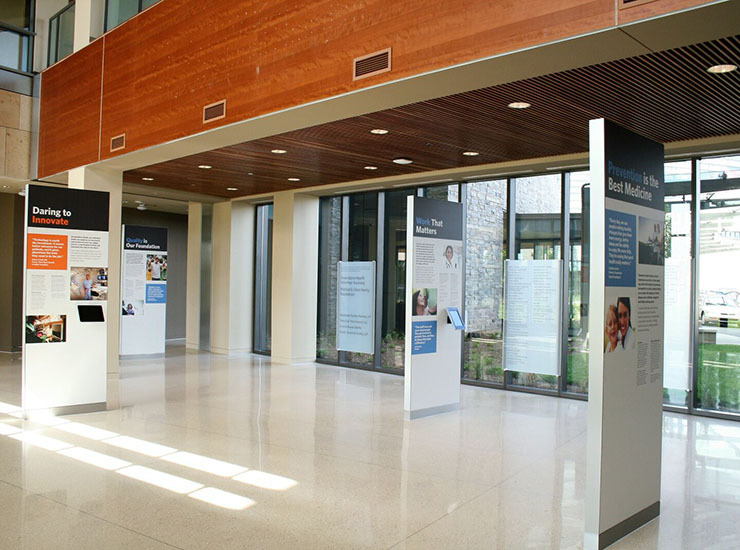 The manufacturing scope-of-work included a Family of Signs, Roof Top Logo, Building Mounted Identification, Entrance Identifications, Main ID Signage, Directional Signage, Emergency Trailblazer, DOT Signage, and a Donor Portion including a historical interpretive system of freestanding units with interactive iPads for pictures and stories. 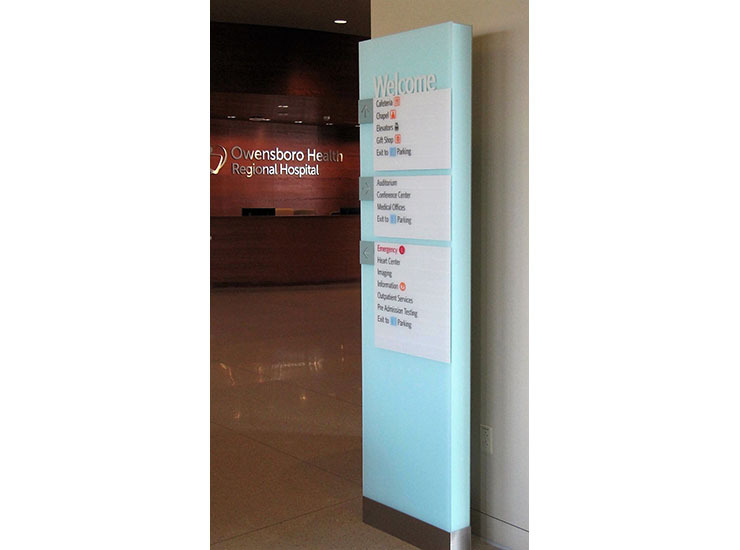 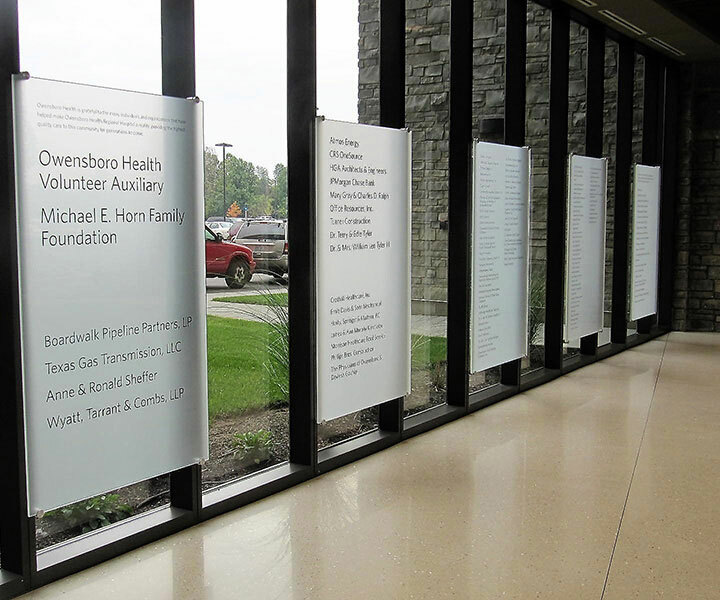 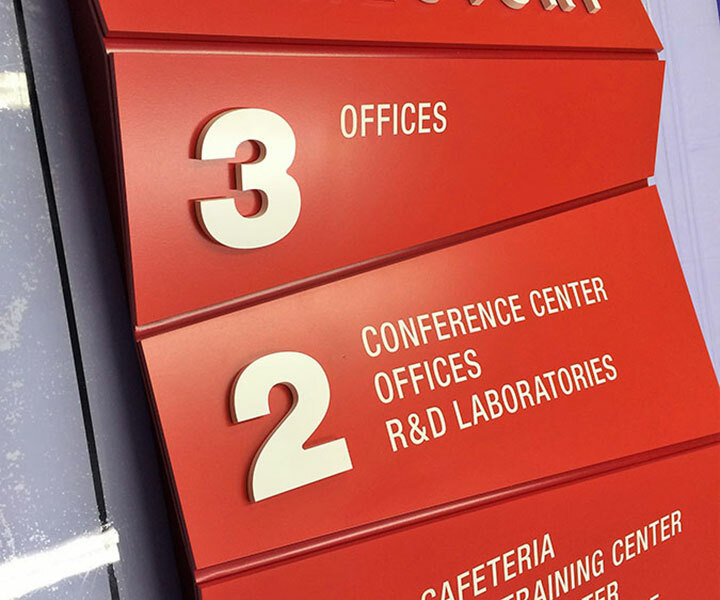 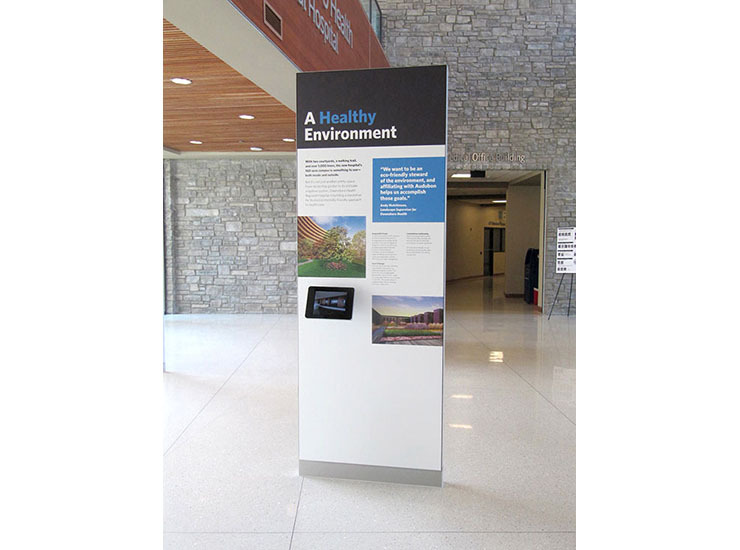 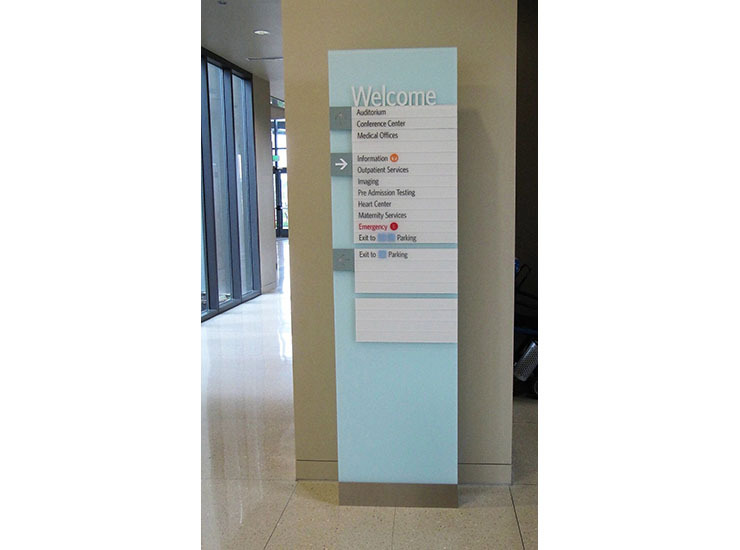 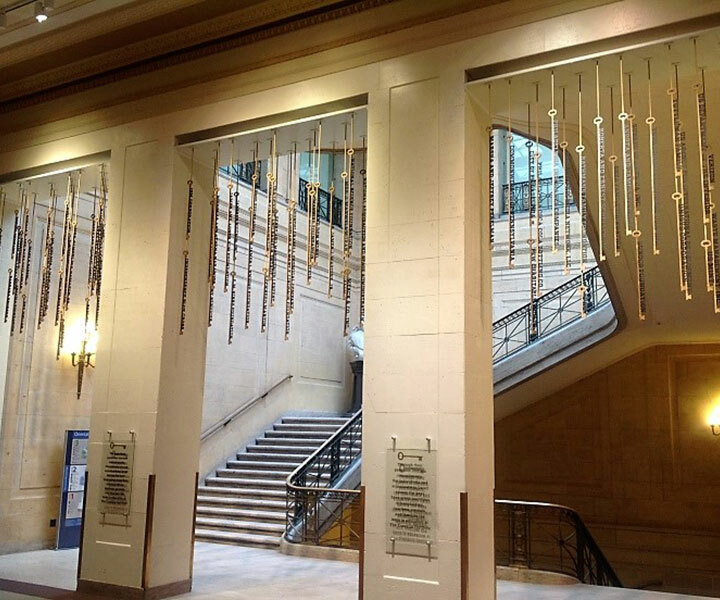 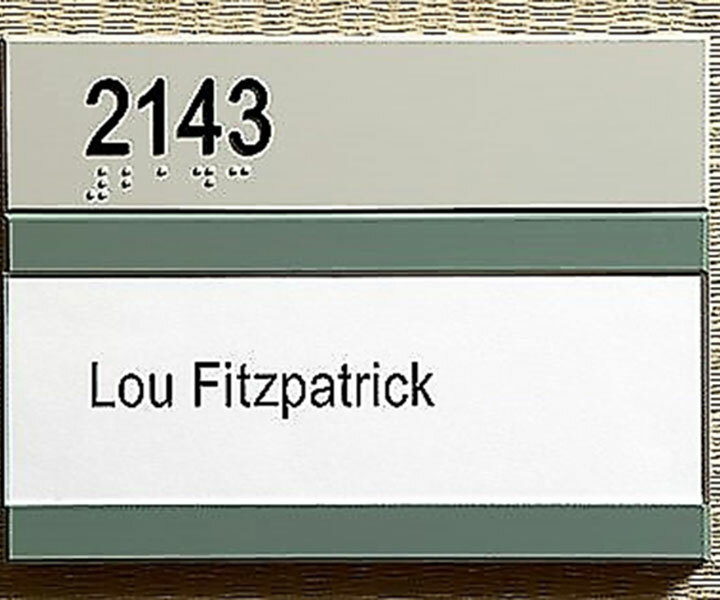 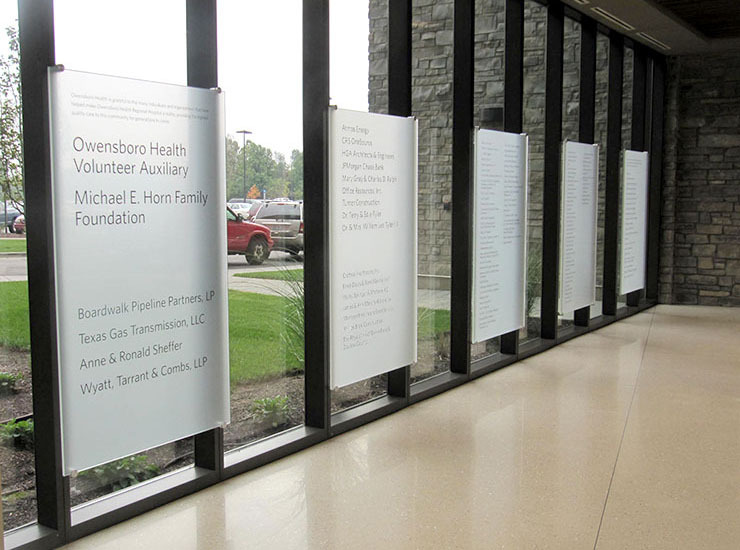 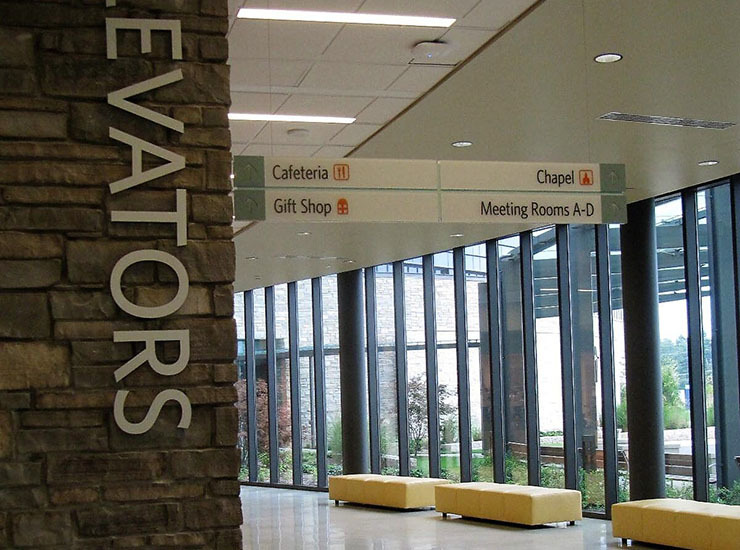 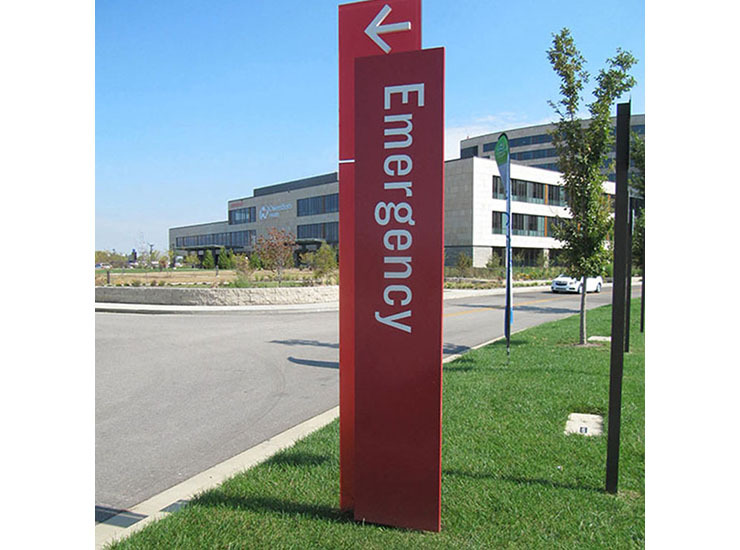 Silk screened glass panels mounted to exterior curtain wall mullions display donor and other recognition information.